Animal Toothpaste Tube Squeezer For Only $2.13 + FREE Shipping! You are here: Home / Great Deals / Amazon Deals / Animal Toothpaste Tube Squeezer For Only $2.13 + FREE Shipping! 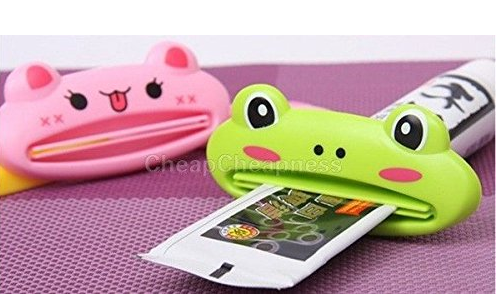 Make tooth brushing time for fun for your kids with these super cute Animal Toothpaste Tube Squeezers ! Right now, you can get these for just $2.13 with FREE shipping! This is also a great way to make sure you use every last bit of toothpaste in the tube! My daughter would LOVE to have one of these, and at this price, I’m totally getting her one!